I was doing my laundry this morning, and I came across these motivational quotes on the inside bottom of my Lululemon Swiftly Tech shirt (I wash my clothes inside out) : “Life is too short for the treadmill, get out and run…” I was not aware of this bonus feature. What a pleasant surprise! 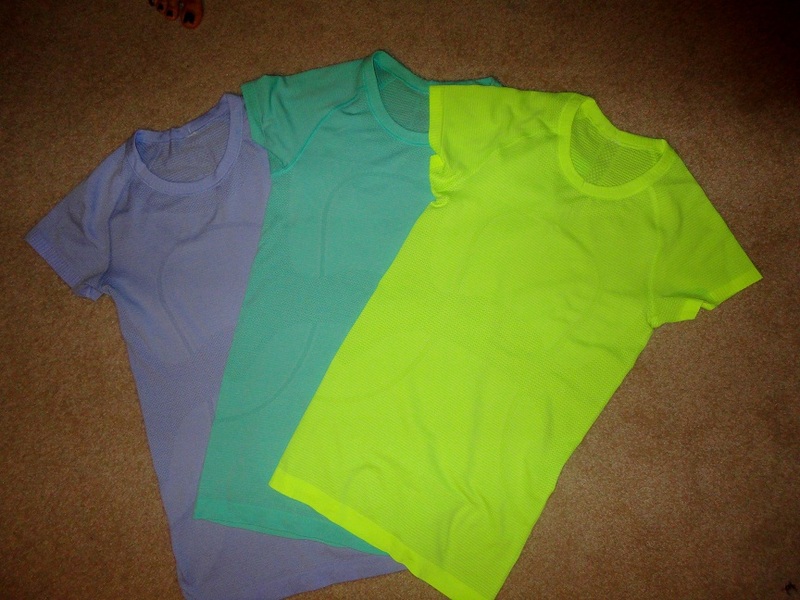 These are my absolute favourite running/workout tees; they’re super comfortable: fitted but not tight, light weight, and most importantly they stay DRY. Not only that, but its high impact fabric inhibits the growth of bacteria and the Silverescent technology pull moisture away from the body and absorbs odor. With a variety of gorgeous colors to choose from, you’re guaranteed to find one that suits you. The only down fall however, is that it tends to snag so be extra careful when handling this garment. It isn’t cheap either, but if you think about the price-per-wear, which you are supposed to consider when purchasing any item, then it’s worth every penny. How can you tell I love this shirt? !